This is easy to use, easy to apply and okay drying (4 minutes a coat). It's a pretty red polish with red glitter through it. It looks so nice and I really like it. 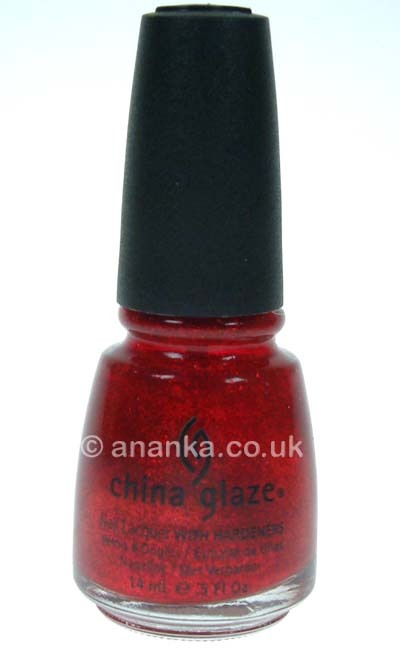 This is one of Mr Posh's favourite polishes! Lasted well. Well, frankly speaking I prefer those older China Glaze polishes. Nowadays CG is launching so many collections and somehow I'm missing the blood, sweat and tears of the former collections. Ruby Pumps was gorgeous by the time it was launched and it's still gorgeous. No wonder he likes it so much, it's so pretty! and it suits many seasons in my opinion. Thanks Marcela :-D Same to you. 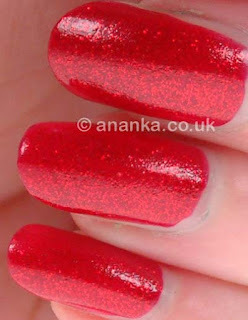 What a great red polish! Lovely! I love Ruby Pumps - my bottle is only about a quarter full now! Have you tried it over black? That looks really good too.